Video Slots Casino is vibrant, to say the least. It has a lot going on when it comes to first reactions. The brand has graphics upon graphics with an upbeat styling. This casino is very different from many of the other choices out there. Players have the ability to sign up, deposit and play the games within just a few minutes, that’s how simple things are here. Players will notice on the main page that there is a look at the promotions, the games that are available, and an idea of what kinds of banking methods there are. This casino is open to players around the world but it would be in the player’s best interest to check out the list of restricted countries to be sure that their region is not on the list. One of the great things about this casino is that it welcomes players that are just 18 and over. This is the lowest gambling age available and this is a great choice for players eighteen to twenty-one. For players, the most memorable part of this casino is the software. Players have nearly 900 games at their disposal. Players will have software companies of plenty which come together to make this one really great casino. Players will see titles by companies like Micro gaming, NETent, CryptoLogic, NextGen, and others. 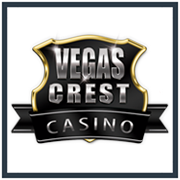 The game categories include live games, slots, table games, card games and specialty games which can range from Keno to Scratch Cards. One of the most drawing things about this casino is that players will find a wide variety of games that are easy to identify with from rock bands to movies, there is a theme for everyone. Bonuses at Video Slots Casino are well worth mentioning as many players really like what they see when they sign up here. 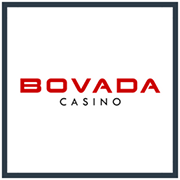 For starters, players have 11 free spins that are available to them upon signup. Beyond the free spins, players will have €10 free to play with when they make their first deposit. In addition to this bonus, players can redeem a 100% deposit match bonus for up to €200 that is good on several different types of games. Each of the bonuses will come with their own terms so be sure to read those before redeeming. 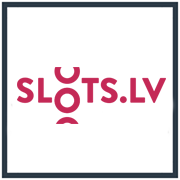 Taking out a promotional offering from Video Slots Casino is quite easy, players will go to the My Bonuses tab within their account to activate the special offers. One of the most important things about signing on with a new casino is checking out the banking options that are available. Players will see options like Visa, MasterCard, Skrill, NETeller, POLi, UKash and many other different options. Some of the options may even double as withdrawal options. This means that players can deposit and pull their winnings out with the same account type. Banking timelines do vary, for deposits, they are processed immediately. Withdrawing can take anywhere between 4 and 10 business days depending on how a player decides to have their funds sent to them.